Hi, Clear your web browser's cache, cookies, and history https://kb.iu.edu/d/ahic#firefox <<<>>> If that fails to solve the problem reinstall as I have previously suggested. p.s. If there were any restrictions to running Firefox the Farbar program would have indicated it. Indeed. 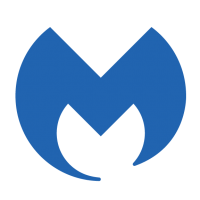 I tried multiple times to get Malwarebytes to run in the full Premium mode (as I stated previously, the system was running Malwarebytes Premium when this occurred, and has a lifetime license, was updated on Friday (attack occurred sometime over weekend). I have attached the other logs I could provide above. Note - I WAS able to get the infected drive imaged to another drive, so now I can play with it whilst keeping the original data drive safe. However, as this happened during a weekend backup run, it corrupted all local copies of my data on that computer, the network attached storage drive backups, AND the online backup as that was set to run at the end of the backup sequence. Attempted to quarantine the file but Malwarebytes seems to be stuck in an endless loop, unable to fully quarantine the item. Detected the MachineLearningAnomalous file, attempting to quarantine the file but it seems to be stuck in an endless loop, unable to properly quarantine the item. Malwarebytes found this files and am currently attempting to quarantine the file but it seems to go on an endless loop. Seeming to be not fully able to quarantine the file.